In December of 2012 I learned about Mark Kessler, the Police Chief of Gilberton, PA, where I own my property. I saw a video on the news where he declared his profound support of the second amendment, claiming he would do absolutely anything and everything within his power to prevent firearm confiscation in his community. He "drew a line in the sand" and said it would not be crossed by any authority. I was immediately fascinated by Chief Kessler and we began a dialogue via e-mail. I introduced myself and briefly explained my interests, including my background and my profession. I asked how I could find out more about him and his purpose, so he sent me a link to his website. I began listening to his weekly radio show and following him on Facebook. I visited his site which included frequent updates of excursions to NRA rallies and speeches that spanned the nation, many in which he participated, all of which were almost missionary-like in nature. It made great impact on me to observe the tenacity with which Chief Kessler professed and enforced his credo. It made equal impact to observe this sect of America in action. I contacted Tina, with whom I'd become friendly, at Gilberton Borough Hall. She told me Chief Kessler attended town meetings every last Thursday of the month. I began attending, too, the first time in March of 2013. 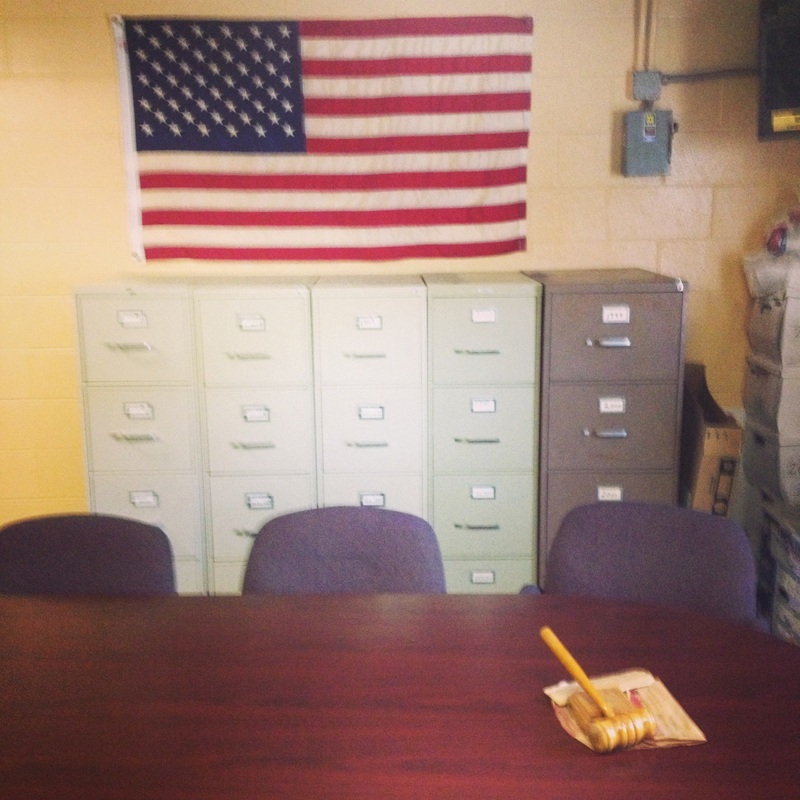 The meeting was held in a small, carpeted room with an oval table and a gavel, surrounded by filing cabinets. An American flag hung on the wall. Machinery from the sewage plant roared in the background through the meeting. I asked questions about zoning, regarding potential plans to build on my land. Coincidentally the topic of trailers and mobile homes was discussed, another one of my interests. Most of the meeting focused on "quads" (four-wheel recreation vehicles.) The grievances concerned anonymous gangs tearing through town, causing damage and injury; if one of the drivers were to get hurt or hurt someone else on a resident's property it could become an insurance liability. Residents had actually altered parts of their property by setting up blocks/obstacles to deter trespassers. Chief Kessler came out of the office in full uniform. "I have a no chase rule. I won't chase them. We had an incident a few years ago where someone was chasin' a- a young individual, on a quad... the young man crashed and he died as a result'a 'dat, so..."
The issue remained unresolved and the meeting continued. At the end of the meeting the treasurer of Gilberton offered to do a search on my property to make sure there were no liens before I had the closing. We exchanged contact information and I thanked him. Chief Kessler had, for the most part, remained in the office. After departing the treasurer I approached the office door. He asked if I was a reporter and said I looked familiar. I said I was "kind of" a reporter but reminded him that we had exchanged e-mails a while back, and he remembered me, and that I was from New York. I was surprised that he seemed sheepish after I told him I listened to his radio show. "Yeah, I get a little carried away sometimes." He spoke casually, like "what's goin' on?" and "what do you do out in New York?" He was solemn when I asked about his father serving in Vietnam. He claimed that until 1968 there were "no firearms laws" and he referenced a contemporary "decay of society." He said he did not believe in background checks because "it doesn't say so in the Constitution" and that the Constitution single handedly defined America. I held his machine gun which he keeps (unloaded) in the office. He offered to take me shooting any time, and suggested I sign up for the tactical training courses he would be teaching in the spring. I drove back to New York in the rain. On the morning of July 17th, 2013, Chief Mark Kessler picked me up in his Hummer with a machine gun on the dash. 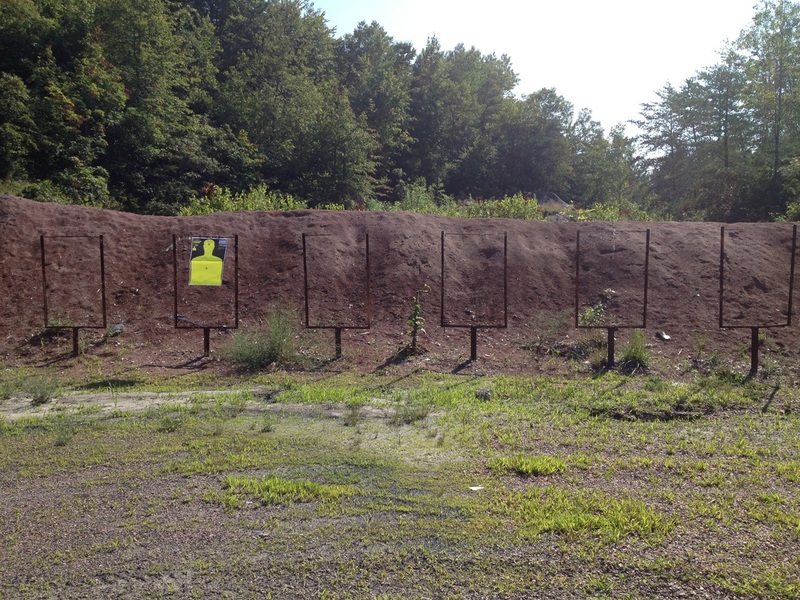 We drove to the shooting range in Frackville, PA. 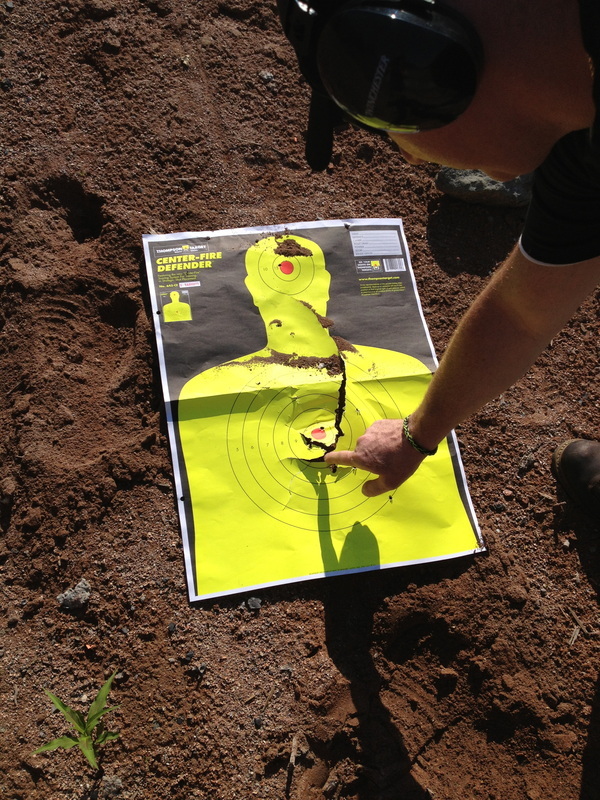 I shot my first firearm: a 22 caliber handgun. 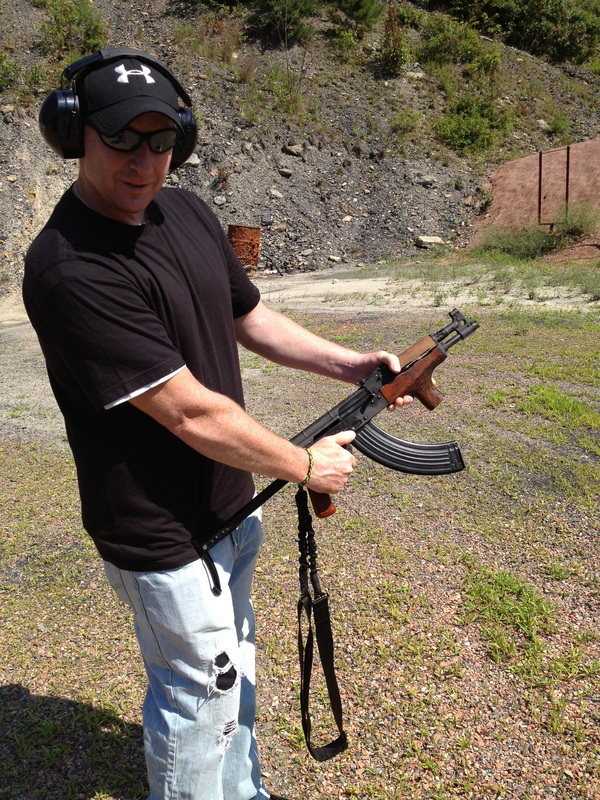 I also shot a 9mm, a 40 caliber Smith and Wesson, a semi-automatic machine gun, and a fully automatic AK-47, the latter of which was used during one of Chief Kessler's profanity-laden videos that, shortly after our session on the shooting range, went viral on YouTube, gained international attention, and ultimately cost him his job. One of Kessler's most popular performances depicts him shooting an "evil clown" poster of Nancy Pelosi and calling liberals "libtards" among other more offensive obscenities. Since the summer I have sent several unanswered e-mails to Chief Kessler. I continue to work on ideas for projects related to, or inspired by, him. I think about cultural roles/role exchange, American history, and how an acute rupture, such as demonstrated by Chief Kessler, in a public domain can pierce or tear a socio-political system or social "fabric" on a micro or macro level. His ongoing plan to rally a local militia seemed to pan after his professional demise, although during deliberation of his suspension, an armed force surrounded Gilberton Borough Hall during one of the town meetings in the name of his defense. They referred to themselves as the Constitutional Security Force, the title Kessler intended for his troop. During my last trip to Gilberton I stopped at a bar in Frackville where the bartender told me Kessler had retreated from the local scene and is currently awaiting settlement details regarding his position.